prices for your furs, too? tained for your furs is mailed to you promptly. SEARS, ROEBUCK AND CO., Kansas City 14, Mo. and rules governing the 17th National Fur Show. 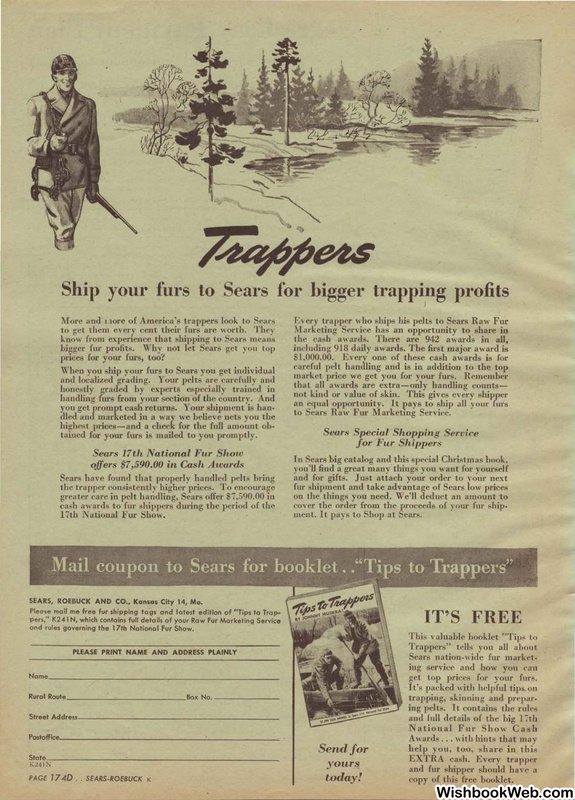 to Sears Raw Fur Marketmg Servic<'. pays to Shop at Sears. get top prices foL· your furs. copy of this free booklet.